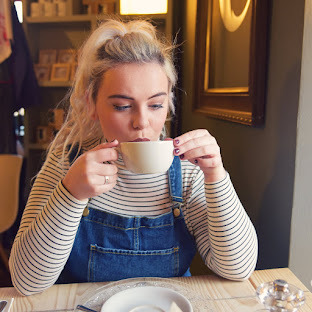 So now Halloween is out of the way, we've got Bonfire Night to look forward to, you all know I love a theme so todays recipe is of course Bonfire themed. 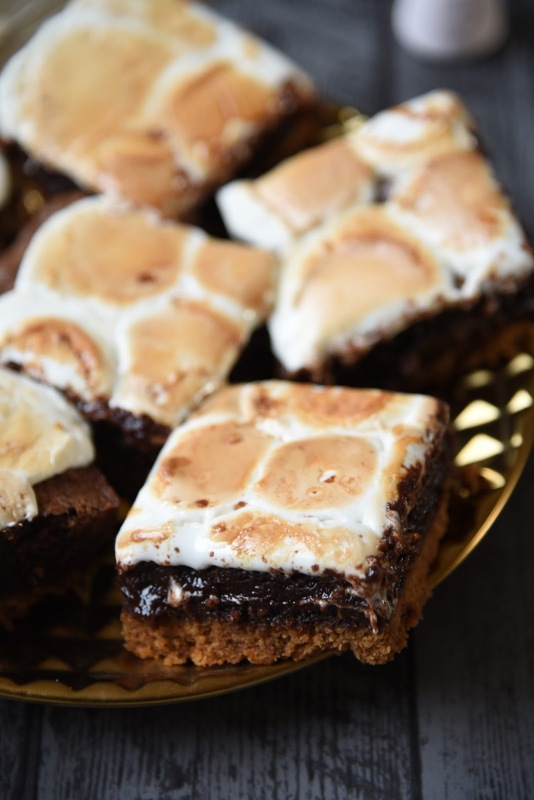 I decided on Bonfire S'mores Brownies! 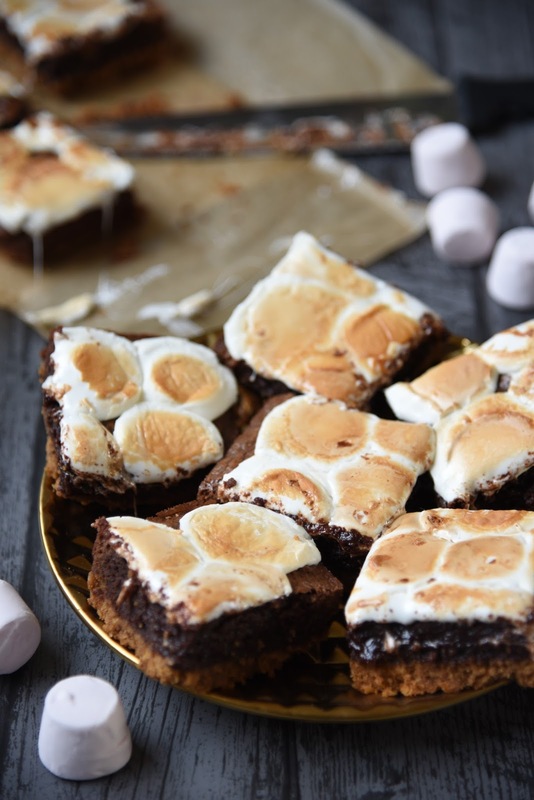 S'mores aren't really a thing here in the UK, but in the US they're chocolate, Graham Crackers (like digestives sort of) and toasted marshmallows, so I threw all of that together to make a gorgeous gooey chocolatey brownie! They're loads simpler than you'd think and they're so delicious! 1. Preheat the oven to 160 degrees C, grease and line a 8x8 inch baking tin, making sure to leave an over hang of parchment paper to lift the brownie out. 2. To make the crust, in a medium bowl mix the digestive biscuit crumbs, sugar and melted butter together until you get a sandy texture. Press into the the prepared tin until tightly packed. Bake in the oven for 20 minutes. 3. Once crust is out of the oven, increase the temperature to 180 degrees C. To make the brownies, in a microwavable bowl, melt the chocolate and butter together at 30 second increments, whisk to combine and leave to cool. 4. Meanwhile, in a large bowl combine thew flour and salt. In a separate bowl, whisk the eggs and both sugars together until fluffy then mix in the vanilla extract. 5. Into the egg mix, stir in the butter and chocolate mixture, then gently fold in the flour mix. Spread evenly in the tin over the crust and bake in the oven for 20-25 minutes, until centre is still a little wobbly. 6. For the marshmallow layer, turn your oven setting to grill on a medium heat. Arrange your marshmallows evenly across the brownie, place under the grill for 1-2 minutes until melted and browning on top. 7. Leave to cool in tin before removing and slicing into 9 squares.